Members of the Takfiri Daesh terrorist group have ordered the residents of their major urban stronghold in Syria to immediately evacuate the city of Raqqah, warning of imminent flash floods that could submerge countless settlements on the banks of Euphrates River due to failure in Tabqa Dam. 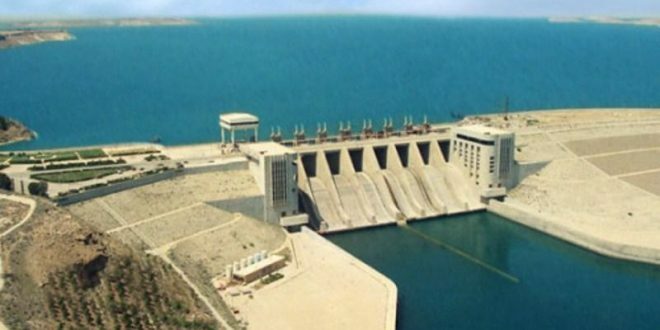 The terror outfit, in a statement released on Sunday, announced that dam, most commonly known as Euphrates Dam and located 40 kilometers upstream from Raqqah, is out of service due to airstrikes being carried out by the US-led coalition, and could collapse. The statement said pressure on the dam’s compromised structure is building up rapidly as more water flow into the reservoir, bringing it up to its maximum capacity, while the sluice gates normally used to relieve that pressure are jammed shut. The so-called and Britain-based Syrian Observatory for Human Rights (SOHR) also reported that Tabqa Dam is out of service. Syrian officials have warned that the collapse of earth-filled Tabqa Dam could inundate Raqqah as well the cities of Dayr al-Zawr and Abu Kamal, which lie 140 kilometers downstream from Raqqah. The intersecting sources confirmed to the Syrian observatory for Human Rights that the main body of the Dam and the main turbines are still under the control the “Islamic State” organization and that the Syria Democratic Forces were not able to control them until right now.